This is a rectangular Franklin Fire Insurance porcelain sign. This particular Franklin Fire Insurance sign is white with black text. 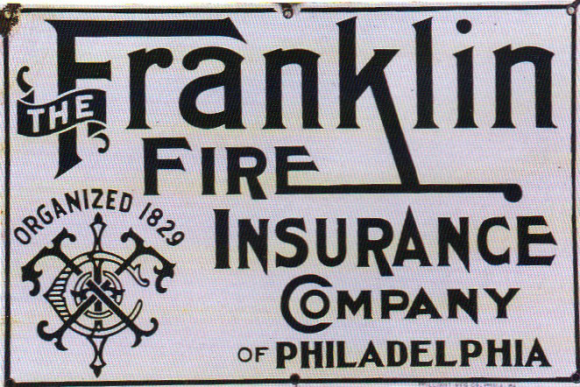 It reads, “The Franklin Fire Insurance Company of Philadelphia, Organized 1829” and features an emblem in the lower left corner.